The Duchess of Cambridge attended the opening night of the musical revival 42nd Street in the West End supporting East Anglia Children's Hospices yesterday. 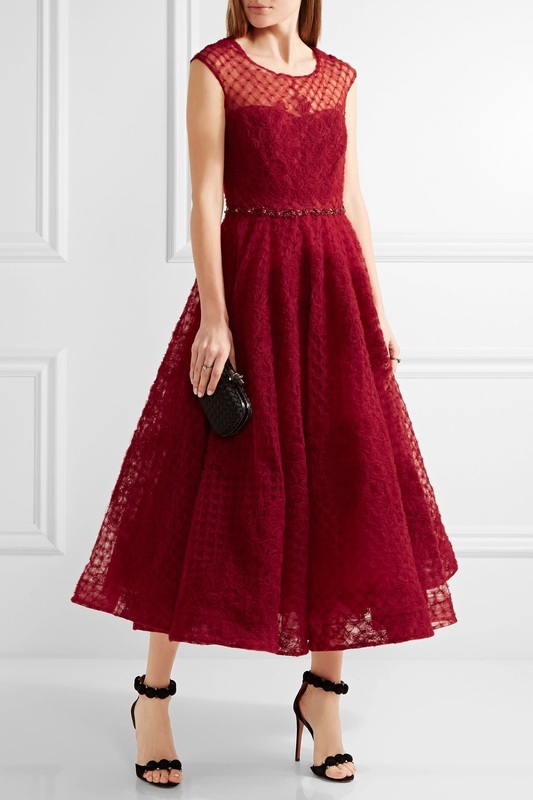 A red embellished tulle tea-length dress? Reaaaaaaally? Well, be still my swishy skirt-loving heart. Actually, I don't know why this selection surprised me, given her bulk buy of midi Preen dresses from last year. I am predictably glad this Marchesa Notte is not lace (it's...lace-adjacent) and I am feeling predictably quibbly about the overall styling. I am also choosing to ignore said quibbles right now, because this is a really good dress. And that's that.